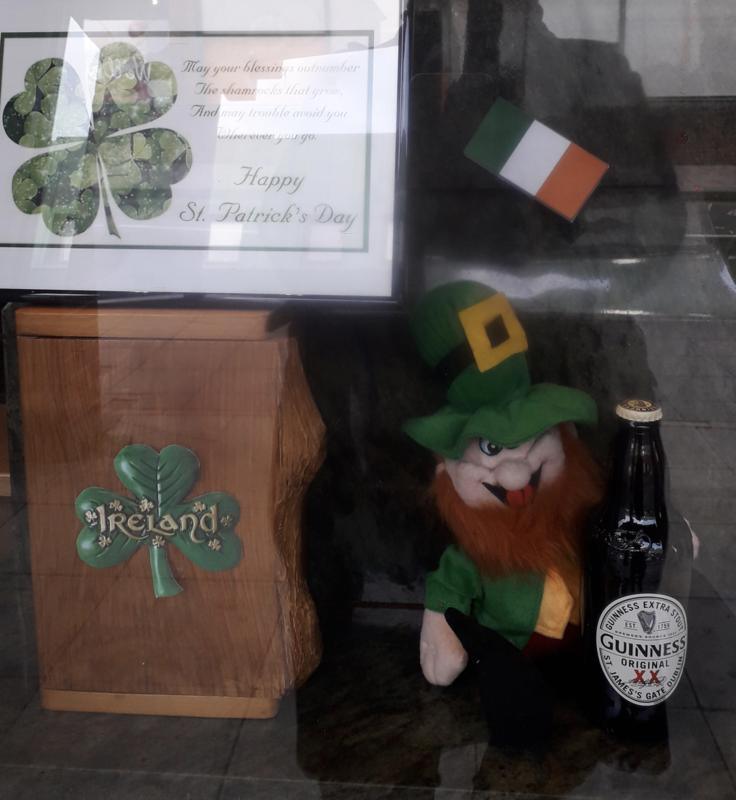 A Leprechaun with his bottle of Guinness helped Lodge Brothers Yiewsley celebrate St Patricks Day on 17th March. Several people passing by clearly fell for the little leprechaun and asked if they could buy him. ‘Seamus The Leprechaun’ declined; he will be staying in Yiewsley but will be back in the window next year.